OVER 70 people have died from measles, the Philippines’ Department of Health said on Friday, February 8, a few days after it declared a nationwide outbreak of the contagious virus. 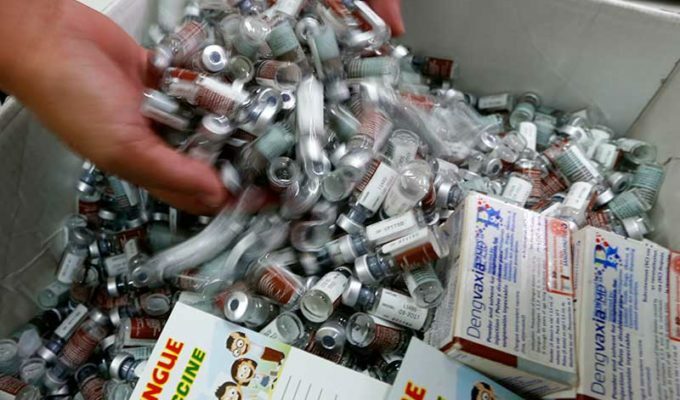 DOH Spokesperson Enrique Domingo said that the 72 casualties were among the 2,000 cases of measles in areas across the country, including Manila. 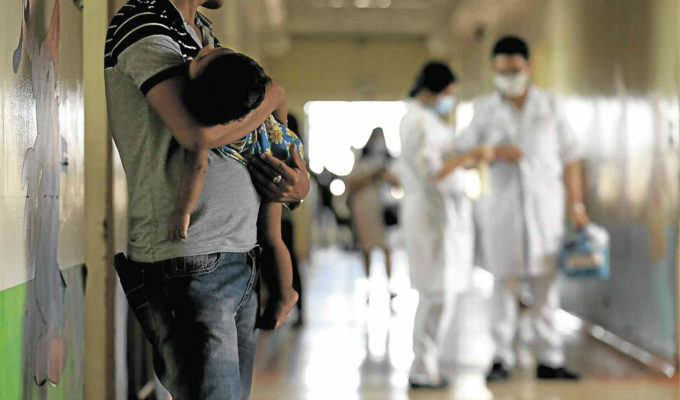 In January alone, 55 fatalities were reported at San Lazaro Hospital in Manila; the number rose to 60 on Friday. Most of the confirmed deaths are children aged three months to 4 years old. 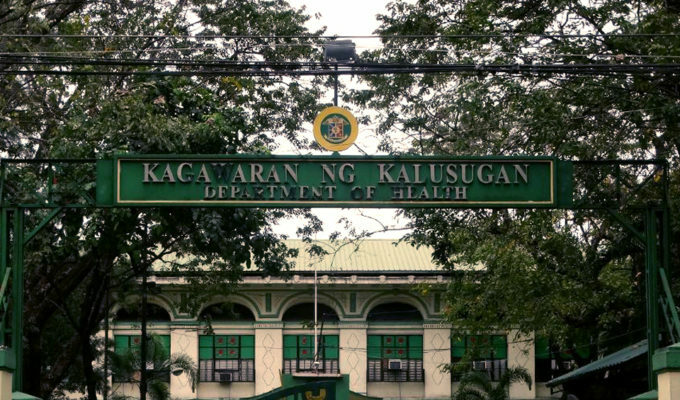 The DOH on February 6 declared a “measles outbreak” in the National Capital Region and Region 3 (Central Luzon) and later expanded it to Calabarzon, Region 6 (Western Visayas) and Region 7 (Central Visayas) a day later. Cities in the National Capital Region with most cases are: Manila, Caloocan, Marikina, Pasig, Navotas, Parañaque, Taguig, Pasay, and Malabon. Health officials link the measles outbreak in several regions to the lack of vaccination coverage. Records from the health department showed that 960,457 children were not vaccinated for the first three quarters of 2018, while the 2017 figure was 855,039. In 2018, 21,812 measles cases were reported, with 202 deaths, most of them children. 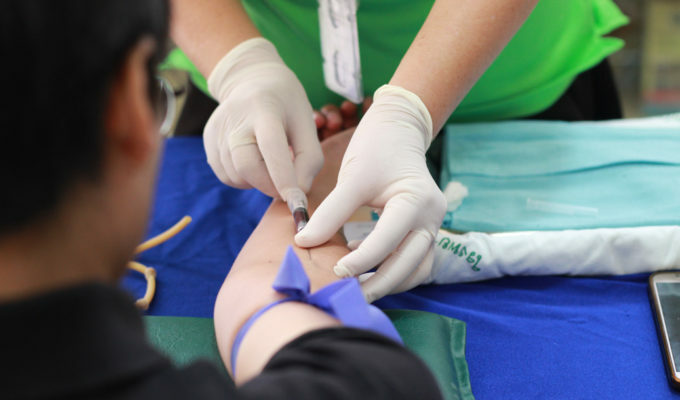 The Philippine Red Cross (PRC) on Thursday planned to coordinate with the health department in assisting patients with measles. 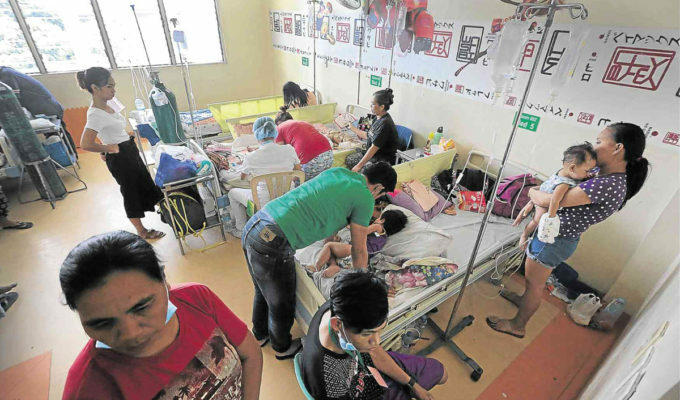 After visiting the San Lazaro Hospital (SLH) in Manila, PRC Chairman Richard Gordon said they would provide medical equipment and set up a 100-bed emergency medical unit (EMU) there. “We need to work together to assist the families affected by the measles outbreak. When we visited the SLH at midnight, we saw two or three children sharing one bed with parents also sharing the space. What was usually room for two or three patients now accommodate up to 10 children. Even hallways are now being used,” Gordon told reporters. He added called for stopping “the scare” and rather educating families on the need for vaccinations. An infectious disease fellow, Dr. Barbara May Banaobra said that the SLH admitted over 250 measles patients. The majority of the patients are children who did not receive measles vaccine shots. 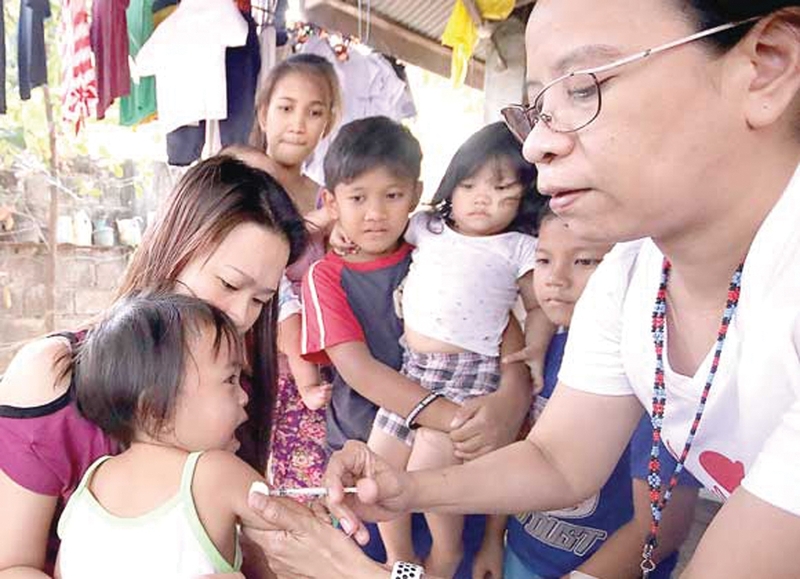 Local chapters of the humanitarian organization were set to conduct measles awareness campaigns in the nearby regions particularly in Central Luzon, Eastern Visayas and Central Visayas. PRC urged officials not to politicize government immunization programs as they are essential in curbing and preventing fatal diseases. 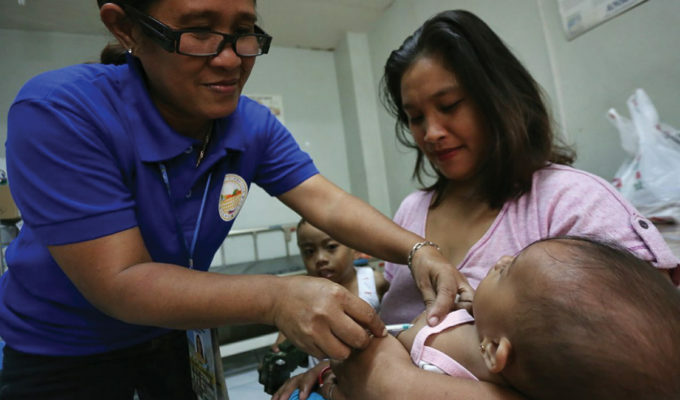 The World Health Organization (WHO) expressed concern on the 2.5 million children below 5 years of age in the Philippines who did not participate in the government’s immunization program against measles. “We are not very surprised about this. This is a situation that could have been predicted. 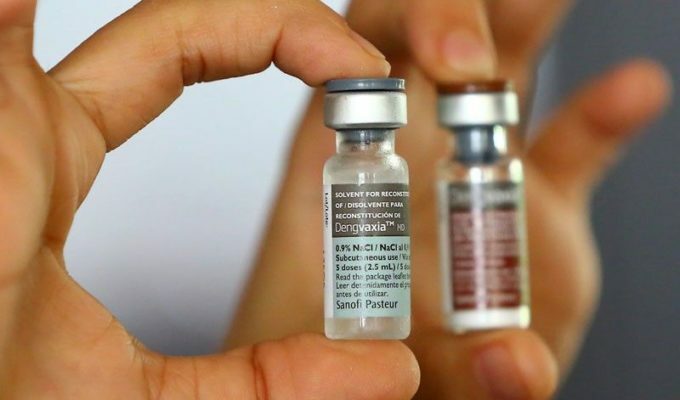 It’s against the background of low immunization coverage we have seen here in the country over the last years,” WHO Representative to the Philippines Dr. Gundo Weiler said in an interview with CNN Philippines. Weiler said that a 95 percent vaccine coverage would secure the protection of the communities from diseases. However, the number of people who take immunization shots dropped to 60 percent in 2018. “What is happening now is we have a big campaign with a lot of investment to catch up with immunization. After that big campaign, we’ll be quiet for a few years but as long as we don’t strengthen routine immunization, again we’ll fall back into the same pattern,” Weiler explained. 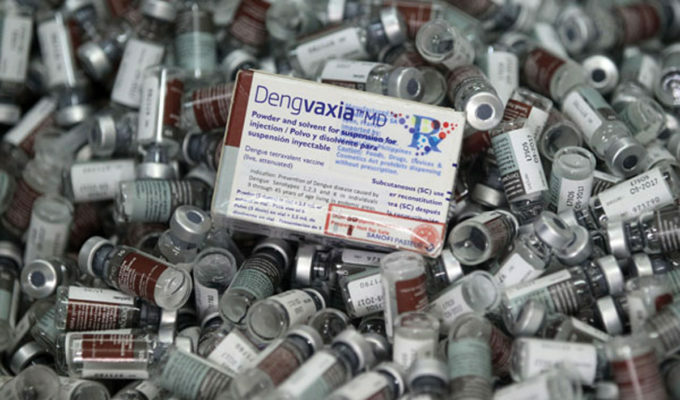 Malacañang said that the Dengvaxia issue may have contributed to the vaccine scare as the major drop came after Public Attorney’s Office (PAO) Chief Persida Acosta publicly insisted that the dengue vaccine caused the deaths of the inoculated cases. “Is that the reality [that the Dengvaxia probe caused vaccine scare]? Was the scandal what discouraged people from vaccinating? It seems so,” Presidential spokesperson Salvador Panelo said in a press briefing. Contrary to what the PAO investigated, the DOH denied the direct link between Dengvaxia and the deaths of the children. The presidential spokesperson agreed with this assessment, however, he said that he would not stop the chief public attorney from probing those who are involved in the Dengvaxia issue. “The PAO chief is responsible enough to know whether her actions would result in(to) discouraging people or children or parents to have themselves immunized. So we leave it to her,” he added. During PAO National Convention at the Manila Hotel, Acosta told reporters that she is not responsible for the vaccine scare. “How can we be responsible for the measles problem today? It is the mandate of the DOH to campaign for proven immunization. We’re not against any tested vaccination. 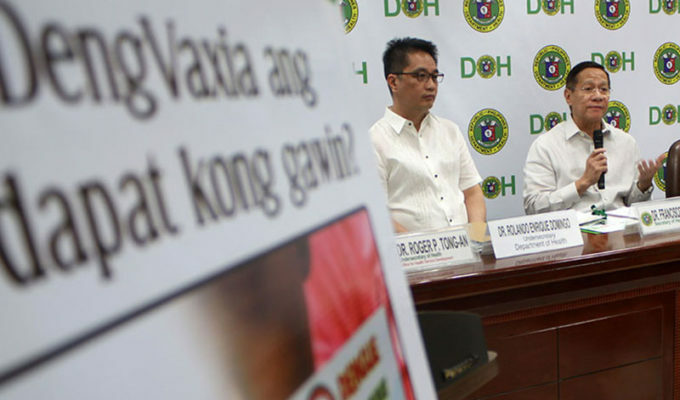 Our only concern here is Dengvaxia,” the chief public lawyer said. Acosta said that it was unfair for the public to put the blame in her since it is not the job of the PAO to promote and administer immunization shots. She also defended herself noting that her pursuit of Dengvaxia cases had nothing to do with the measles outbreak. “We did not create the scare. It was Sanofi who organized a press conference on Nov. 29, 2017, saying that Dengvaxia cannot be administered to those without a history of the disease. The vaccine was already given. So did PAO create the scare?” she asked. The public lawyer explained that it was the health department’s “failed campaign” that caused the drop in the immunization program coverage. She said that the DOH should have personally gone door-to-door and asked parents to vaccinate their children. “Those getting measles now should have been vaccinated in 2015, 2016 or 2017. Why wasn’t there a better campaign by the DOH for it and why didn’t they go house-to-house? We did not cause that. We are not the ones who administered the mass vaccination,” Acosta argued.